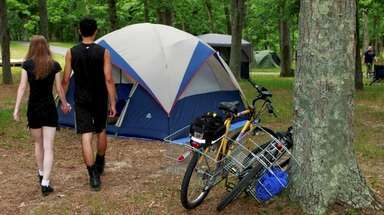 South Fork shops teeming with unique gifts are eminently accessible now that summer crowds have left. 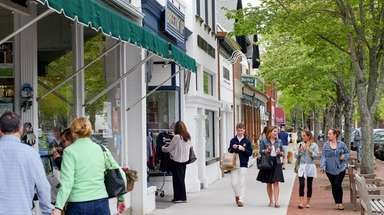 The Hamptons South Fork Main Streets tend to be heavy with branded stores selling luxury items. But tucked among them — and eminently accessible now that summer crowds have left — are places with unique appeal to holiday shoppers. “We carry things you won’t exactly find at Williams-Sonoma,” explained Brandy Anderson of East Quogue, who works at Loaves & Fishes Cookshop in Bridgehampton (2266 Montauk Hwy., 631-537-6066, landfcookshop.com). “Garrit and Sybille travel to Europe and come back with things you probably won’t find elsewhere,” Anderson said, referring to Garrit and Sybille vanKempen, proprietors of Loaves and Fishes and the attached Bridgehampton Inn and Restaurant. After shopping at Loaves & Fishes, swing up Bridgehampton Sag Harbor Turnpike to find a selection of Christmas crackers — the English party favors, that is. Edibles are also among the items Berry and Waddington stock to make this charming shop a favorite stop for area-centric gifts. “We sell ornaments shaped like ships and other things that recall Sag Harbor, Montauk and the Hamptons,” Waddington said, showing a Sag Harbor jigsaw puzzle they had commissioned a few years back that forms an image of Sag Harbor landmarks. 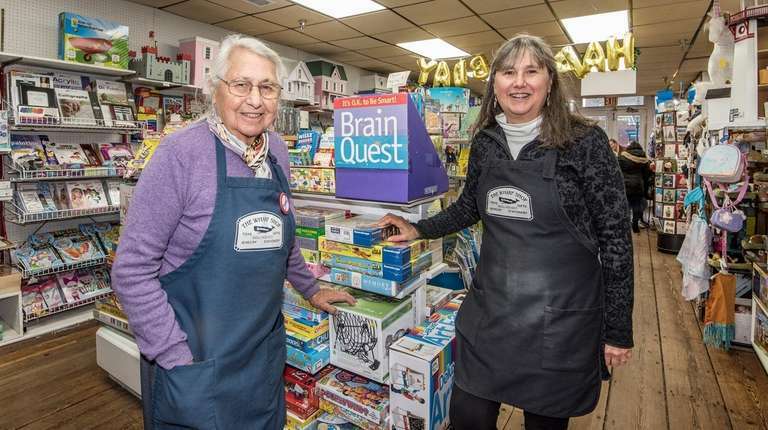 The Wharf Shop sells toys, and although there are some commonly found items, “We try and include some that require added imagination,” noted Waddington, including construction toys and educational playthings. “And then there’s these,” she said while holding up a soft, plush Audubon Bird stuffed animal that makes a chirping sound. Each bird plays a realistic species-specific song. Meanwhile, over in Amagansett, Innersleeve Records (199 Main St., 631-604-6248, innersleeverecords.com) offers inventory that stokes nostalgia and trendiness all at once. 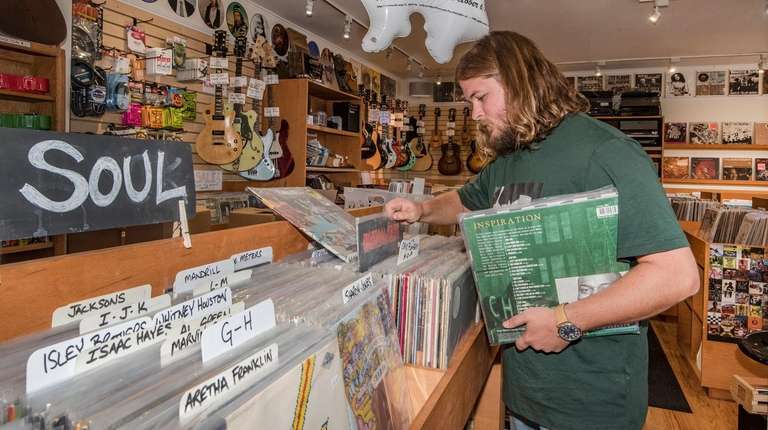 “We get a mix of kids just getting into records and those who want to get back into it,” noted store manager Chris Clark as he stood in front of the store packed with vinyl records. The bin is outside the store and always accessible, meaning anyone who wants a free record at any time, on any day, can take one. “I come here for the good music, new arrivals, it’s not hard to find something good here,” said customer Devlin Webb of East Hampton. Couture Outdoor, 18 Windmill Lane, Southampton, 631-287-7848, coutureoutdoor.com. This shop sells one unique outdoor piece after another, from pool-friendly “floating furniture” to fire pits and glowing décor. Harbor Books, 20 Main St., Sag Harbor, 631-808-3401, harborbookssgh.com, Here’s a cozy independent bookstore where you can curl up with a good read in seating at each window or grab a hot tea brewed in-house. 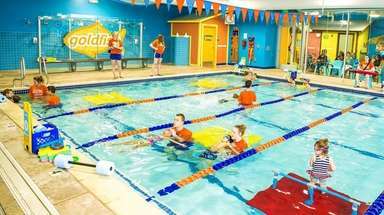 Hildreth's, 51 Main St., Southampton; 631-283-2300, hildreths.com. 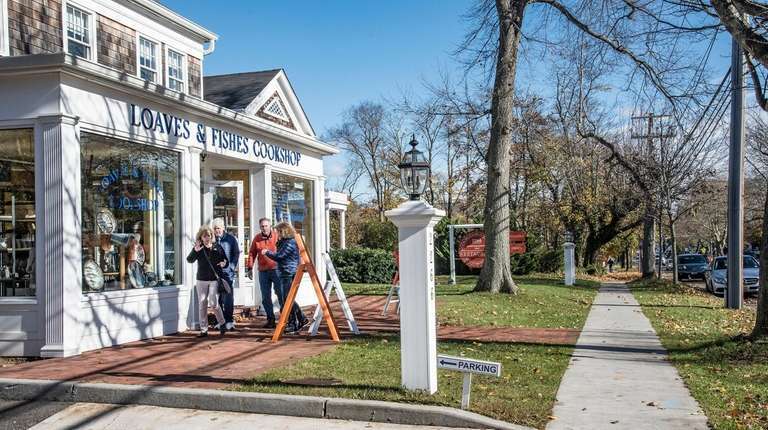 Open since 1842, this iconic Hamptons stop sells furniture and décor for home or office, offers a custom-design department for linens and draperies, as well as a wide selection of home goods intended to create comfy living spaces. Monogram Shop, 19 Newtown Lane, East Hampton, 631-329-3379, themonogramshops.com. Everything here speaks to the shopper, from the categorical (paper hand towels monogrammed with “Beach House”) to the whimsical (boxed notecards engraved with “regrets his behavior at …”), to the personal (get your gifted’s initials on everything from towels to glasses to plates and totes). Golden Pear Café, 99 Main St., Southampton, 631-283-8900, goldenpearcafe.com: Soups, chili, quiche, chicken potpie. 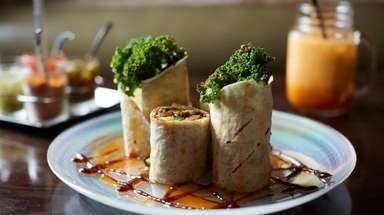 Rowdy Hall, 10 Main St., East Hampton, 631-324-8555, rowdyhall.com: Pub meets bistro; sandwiches, burgers, salads, more. 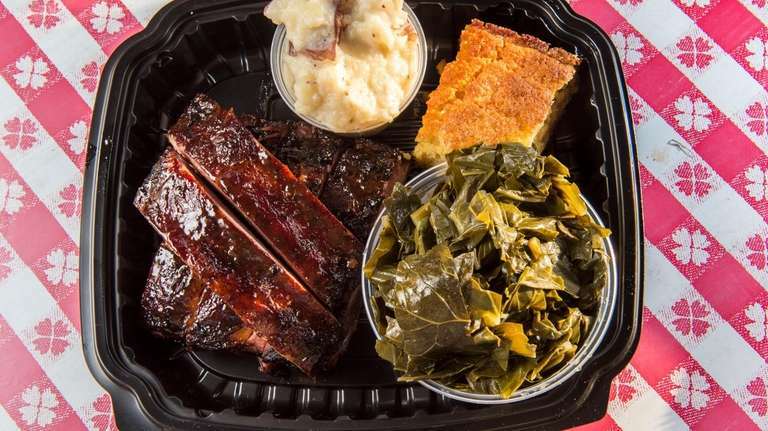 Smokin’ Wolf, 199 Pantigo Rd., East Hampton, 631-604-6470, smokinwolfbbq.com: Salads, sandwiches, platters of ‘cue. World Pie, 2402 Montauk Hwy., Bridgehampton, 631-537-7999: 21 pizzas, for starters.